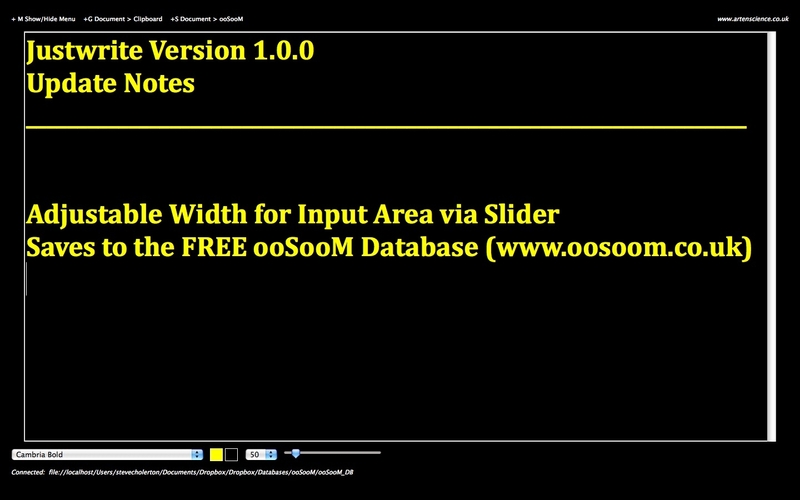 Very simple full-screen text-input software. JustWrite... Write text using the full screen of your Mac or PC. The only options you have are font name and size, background colour and text colour.